This book tells a fictional account of real-life Empress of Austria, Elisabeth (Sissi). I have been unable to get hold the first book in the trilogy, detailing her early life and her romance with the Kaiser Franz-Joseph, but this second book begins with her new life as the Kaiserin and the problems she has with palace life and her new mother-in-law. The book follows Sissi's fight for independence in a world where she is expected to follow protocol and produce an heir to the throne. 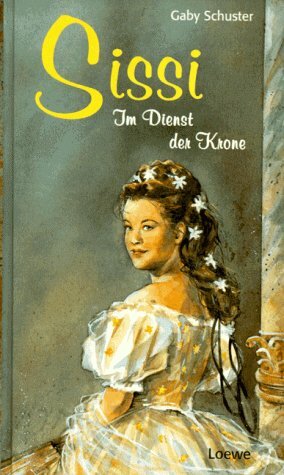 Not having the first book was not a huge problem for me as I have long been interested in Sissi and already know a fair bit about her life from biographies etc. So keeping up with the story was not an issue and I enjoyed the way Sissi was portrayed in the book. Reading in German is naturally slower going for me than reading in English, but I didn't have any problems with comprehension. On the whole the prose flowed nicely and was highly readable; although, there was a bit of head hopping, which was a tad annoying. Overall though, I found this an enjoyable read and soon I will start the final book in the trilogy. Perhaps one day I'll be able to find a copy of the first book to complete my set.